SKU: sjs09. Category: Canvas Print. 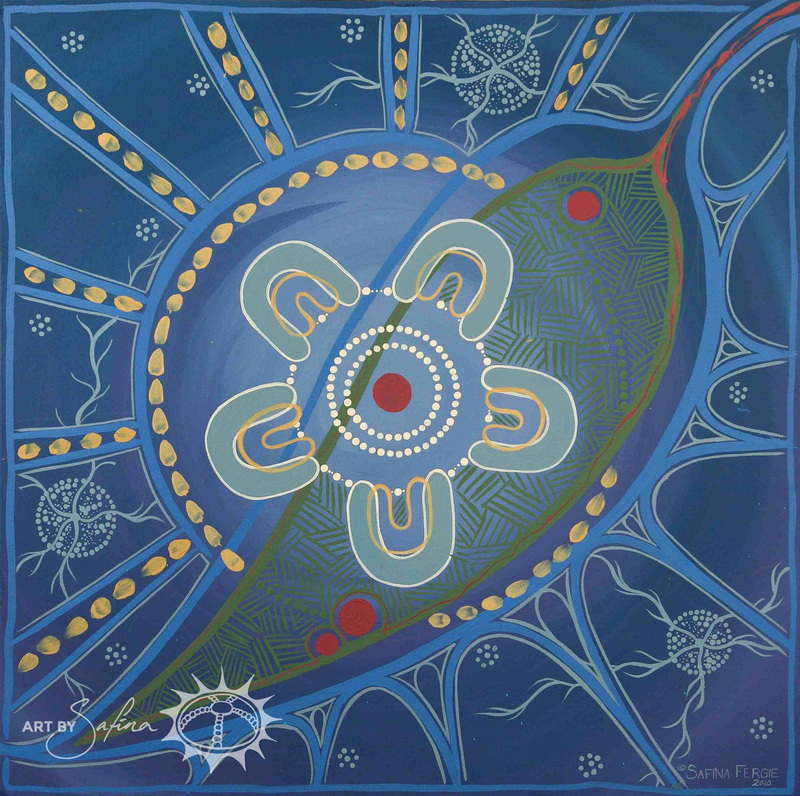 This harmonic and gentle artwork, entitled ‘Commitment of Care’, was inspired by organizations working to provide services and care for those members in the Aboriginal community with chronic conditions and complex needs. The blue water in the background represents a pool of peace and care. The larger grey U prints that surround the smaller yellow U prints symbolize nurturing relationships. The gum leaf cupping around the central community campfire is the symbol for Welcome. The dotted circles represent broader networks with other services offering support to improve the health of the Aboriginal community.